Michael Saunds lives in New York, where he is a K-12 educator, and kinesiology professor. He has been recognized as a highly qualified teacher in New York City. Saunds received the Gotham Gives Back Award in 2008. He holds a master's degree in general/special education from Touro College. 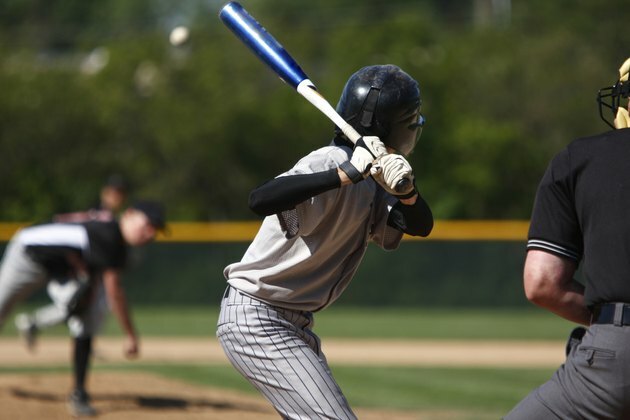 If you are playing a high-impact sport such as baseball, football or basketball, choosing the right athletic cup is crucial to protecting your groin area. The purpose of an athletic cup along with a jock strap is to lift, support and protect a man's testicles from collisions that happen on the playing field. Choosing the correct athletic cup is determined by body mass, meaning youth or adult, age and how it feels on your body. Select the size of athletic cup that you want. Size is determined by age and body mass. Boys aged five and up, reaching 4 feet 6 inches and 80 pounds should wear a cup 1 3/4 inches in depth. Youths age 11 and up, reaching 5 feet 6 inches and 110 pounds should wear a cup 2 inches in depth. Finally, an adult age 18 and up can wear a cup anywhere between 2 1/4 or 2 1/2 inches in depth depending on height and weight. Choose a jock strap based on size. Select the jock strap just as you would a pair of underwear. The leg straps on the jock strap should be tight enough to prevent rolling or twisting. Put on a pair of compression shorts. They should be a mid-thigh or brief cut in length, and the size of the shorts should be the same as your regular underwear. Put the jock strap over the compression shorts, and slip the athletic cup you have chosen into the pouch in the front of the jock strap. Check the movement of the jock strap and athletic cup by moving around the room. The jock strap and athletic cup should not have too much movement and should remain snug against your groin area, while providing support for your testicles. If you are a senior citizen, there are cups specifically designed for your needs. Try on all the equipment before purchasing it. What Types of Athletes Wear Protective Cups and Jock Straps? Why Do Athletes Wear Jockstraps? Do You Lose Bra Cup Sizes When Losing Weight? What Bras Are the Best for a Big Chest and to Lift?